Can You Get Life Insurance With Type 1 Diabetes? In a previous blog I discussed getting getting life insurance with Type 2 Diabetes. In this one, I look at Type 1 Diabetes. Can someone with diabetes get life insurance or mortgage protection in Ireland? Here’s an email from a worried client, does it sound familiar? Getting life insurance for Type 1 Diabetics in Ireland is difficult BUT IT’S NOT IMPOSSIBLE. Here’s the bones of a recent case where we managed to get a lower price for our client. The best quote he had received elsewhere had a +250% increase. Male – 40 years of age – Diagnosed at age 26 – Latest blood pressure 131/77 – Latest cholesterol 4.06 – Latest Hb1Ac reading 80 – no other health issues. Our insurer offered him cover with a loading of 150% (without the need for a medical report which can slow things down considerably). Instead our client completed our diabetes questionnaire in great detail and supplied a letter from his consultant. What are the chances of mortgage protection with diabetes? the length of time you have had the condition. Usually the increase in premium is 150%+. e.g If a non diabetic can get cover for €20, you will pay €45 per month for the same amount of cover. What about serious illness cover for Type 1 Diabetics? Is it the same for income protection with Type 1 Diabetes? Afraid so, a life insurance company won’t offer income protection to someone with T1 Diabetes. What is the application process for life insurance with type 1 diabetes? The underwriters will review your medical evidence and make a decision. *If you can get a copy of your latest consultant report, we may be able to avoid the need for a medical report from your GP. This will speed things up. It’s not difficult to get life insurance with type 1 diabetes, assuming your control is good, but you will pay more. But we can get you covered at a much lower price than you’ll find elsewhere. In the example above I got indicative quotes of between 150% and 300% for our client so we’ll make sure you apply to the insurer that will give you the lowest quote. The process will be slow and frustrating if you do it yourself. We’ll take the hassle away saving you time and money. If you’re in the market for life insurance or mortgage protection and have been declined or postponed elsewhere, please get in touch. Give me a quick outline using the form below or complete this diabetes questionnaire and I’ll get right back to you. Give us a quick outline of how we can help and we'll be right back to you. I’ve read & agree with the Terms of Business and Privacy Statement. Life Insurance Quotes - Free and Easy! We’re an online life insurance broker. 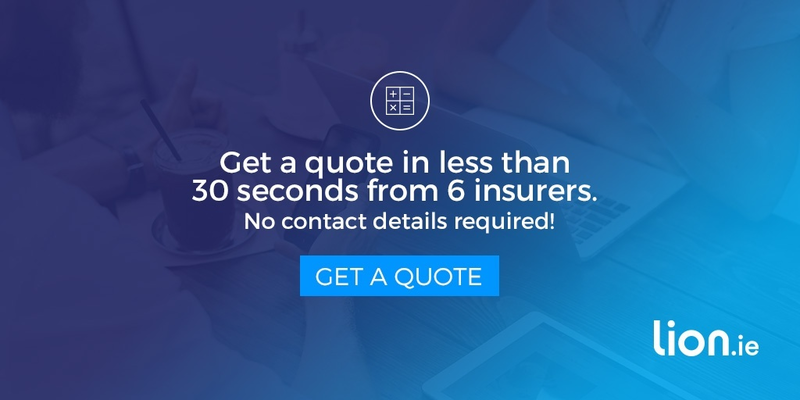 We compare life insurance quotes for mortgage protection, life insurance, specified illness cover and income protection from all 6 leading life insurance companies in Ireland, instantly and anonymously. P.S. Can we email our latest blog every Wednesday?